So many papers, so little time! 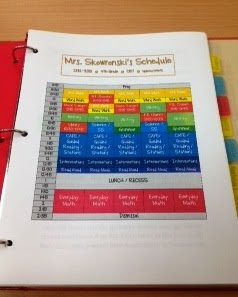 But--I am going to share my teacher binder so you can see how I try to keep my "teacher life" organized. I have kept variations of this before but really put together a set system this year after seeing other ideas on Pinterest. I really like the one put together by The Teacher Wife so a lot of my inspiration came from there. Here is the binder--not a fancy front but it is my favorite color. It looks better when it is open. 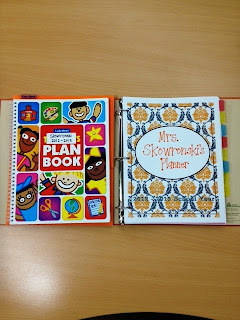 You will see the FREE lesson plan book I got from Lakeshore Learning this summer and the cute (and FREE) cover page I got from The Curriculum Corner. 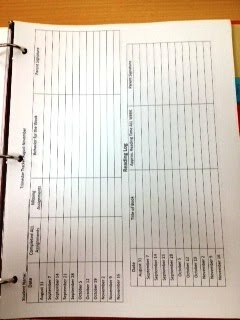 I made tabs to divide my binder into the following sections: schedule/calendars,student/parent information, guided reading plans, assessment data, common core checklists, curriculum guides, meetings, and IEPs. Schedule/Calendars--Our daily schedule and school and district calendars for the year. 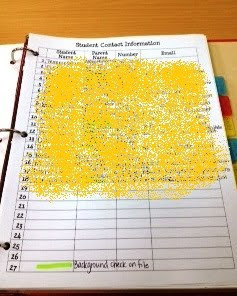 Student/Parent Information--I have a sheet with the pertinent contact info for each student in my class, a parent contact log, and a weekly tracking sheet for each student. Another teacher in my building made the tracking sheets and they are great! I keep track of missing assignments, behavior issues and reading goals for each week of the trimester. Guided Reading Information--Paperwork and plans for my leveled guided reading groups will be housed here when we start this the week of 9/24. We are still building our stamina this week and next! Assessment Data--My data dissagregation sheets along with all assessment recording forms are kept here. This helps when I plan my lessons. 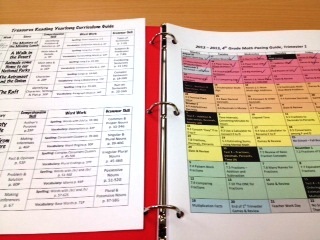 Common Core Checklists--This is my lifeline this year! I am still feeling my way through CCSS but I took the time over the summer to create these checklists for my grade level team to track when we cover each standard. I have them for sale in my TpT store. There is also a checklist for 5th grade available. 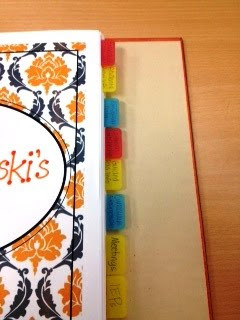 Curriculum Guides--I have mapped out my curriculum for Daily 5, CAFE, Everyday Math and Writing. I keep those guides here. Meetings--Staff meetings, plan team meetings, committee meetings, etc.! All agendas and notes go here. 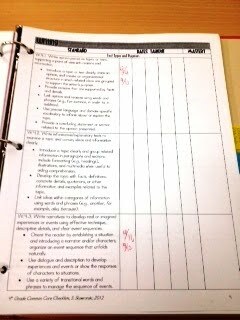 IEPs/Behavior Plans--This important paper work is here for quick reference. You Rock Mrs. Skowrosnki!! When I grow up, I want to be just like you!! 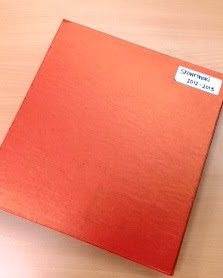 Would you ever be willing to share your curriculum guides? I have been frustrated with how our district says the flow should be. I would love to look at how other curriculum guides are setup to see if there is a better flow or how else I can improve what I am doing.